"It's dark magic brings him back." As Tori digs for the truth-and slowly begins to fall for Nathaniel-she uncovers something much darker in the tangled branches of the Slaughter family tree. In order to break the curse that binds Nathaniel there and discover the true nature of her inheritance, Tori must unravel the Slaughter family's oldest and most guarded secrets. But the Slaughters want to keep them buried at any cost. 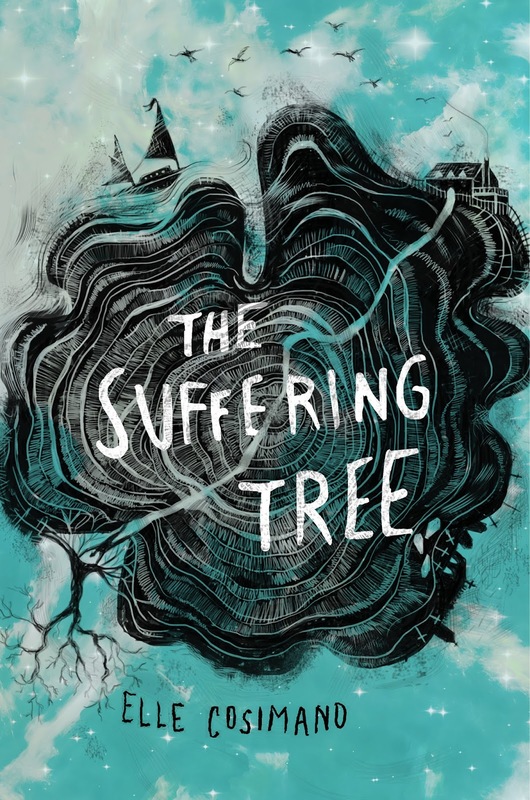 The Suffering Tree by Elle Cosimano combines the past with the present in order to create a mystery. In a setting rich with witchcraft and magic. The book also contains self-harm. The Suffering Tree deals a lot with self-harm and it took me off guard because I generally shy away from books dealing with it. It’s very present and I would say graphic as well. It’s always difficult for me to read because my brother cut himself. So reading it is hard because I wonder if this is how my brother was feeling. Even when it came out, I don’t think my family ever really talked about what he was doing. So even though I do tend to shy away from books with it, I also think it's important to read about it. I don’t know what it feels like to read it as someone who has gone through or is going through this experience. I was glad the book dealt with it though. It wasn’t just something mentioned on the side it was something that she felt she needed. Something that frequently occurs. I, however, did not like that it was what triggered the magical events. So the book is about a girl, Tori, and her family that have to deal with the loss of her father. Tori is adopted and has always know it but her mother makes sure she knows how much she is loved. They move to a small town with a dark history that revolves mainly around the Slaughter family. I could only imagine bad things from a name like that. I thought it was interesting that Elle Cosimano choose to use the part of history involving indentured servants. Being Irish I know a lot about that side of it but as fair as children being kidnapped from England, I was clueless. The story also has witchcraft mixed in being that one of the kidnapped children happens to be a witch. Which triggers the events in the present that stem from the misdeeds of the past. We get three different perspectives. We have Tori and then through her dreams she sees the past in the eyes of Emmeline. Then we have Nathaniel whose past we see through his memories. I was okay with the switching perspectives. I know sometimes it’s difficult to follow but I did not feel lost at all. There are times that some of the memories overlapped. I liked Nathaniel. I think the bulk of understanding his personality comes from his past memories. The connection that he forms with Tori stems from both the past and present. He can’t help but feel connected to her but at the same time it’s also new. I liked the mystery. Tori is running around trying to figure out why Al senior left them the house and what part Nathaniel plays in the whole thing. As well as to pieces together the memories of the past and what dark secrets the Slaughters are holding. I like Drew and Magda but I was saddened by the underdevelopment of their characters. I think they could have played a more pivotal role in Tori’s issues. Even not knowing her for very long. They are more involved towards the end but it feels like we never get to really know them. I feel like it’s hard to review the book because there are two sides. The self-harm is such a big part of it and difficult to read. I liked the mystery and the mixing of history with witchcraft. I read the book pretty quickly because the pacing is good and I liked the writing. Author of NEARLY GONE, NEARLY FOUND, HOLDING SMOKE, and THE SUFFERING TREE (Disney*Hyperion, 2017). Represented by Sarah Davies of The Greenhouse Literary Agency.